If you are grieving the death of a child, having to deal with all the emotions, difficult questions, doubts and fears can feel overwhelming. The help and encouragement of others, especially from others who have been there, can be therapeutic. A supportive group can help mothers and fathers process their loss, and work on healing. Fortunately, there are places of support for parents. Some of these organizations have international and national recognition as well as local chapters. When you go to the website you can do a search to see if a support group has a meeting place near where you live. Most groups have a non-profit status, are run by volunteers, and do not cost to join. Some may offer mailing lists you can sign up for. The Compassionate Friends (TCF) provides support for grieving parents across the country. The organization has over 600 chapters located in all states, as well as in the District of Columbia, Guam, and Puerto Rico. TCF offers understanding, assistance, and support for bereaved families, including parents and siblings. TCF also offers resources such as memorials, as well as local and national events including candle lighting and memory walks. The website also has a chapter locator, which helps you find a chapter of TCF in your area. You can find a local chapter using BP/USA's online chapter locator. The foundation provides crisis care, as well as long-term assistance to parents mourning the loss of babies or children. MISS also engages in research aimed at reducing the number of child deaths in the United States. You can search for a support group or a compassionate care provider on the foundation's website. Mothers with Angels Memorial and Grief Support is a website that helps grieving mothers memorialize their children and provides support through shared stories, articles, spiritual verses, and advice. Grieving Parents is an online support community for parents who have lost children. Along with email support groups, Grieving Parents has online memorials, a cyber-cemetery, and a photo album. M.E.N.D. (Mommies Enduring Neonatal Death) provides hope and healing after the loss of your baby by miscarriage, stillbirth or early infant death. M.E.N.D. hosts events, commemorative ceremonies and has support group chapters throughout the nation. Hope Bereaved Mom Grief Support Group is located in Fort Myers, Florida, but you may be able to find a similar support group in your area. You can start by checking with your doctor, your local hospital or community center for resources. Bereaved Mothers Meetups is a website where you can meet up with others in your area. The locations are somewhat limited at this time, but you can also start your own 'meetup' where you live. There are multiple Facebook groups that are designated specifically for grieving mothers. You can search 'grieving mothers', 'grieving mothers who lost a child', 'grieving mothers support group' etc. and you may find a group that you would like to join. Along with support groups, friends and family, parents can reach out to others in their communities for support. If the parents are a member of a church or religion, they can meet with their church's minister. 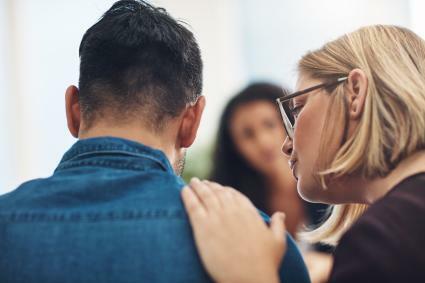 Clergy are trained to provide support and counseling for the bereaved and may be able to help grieving parents find spiritual comfort in their grief. Many members of the professional psychological community, such as counselors or psychologists, specialize in grief support. You can find trained grief counselors through local referrals, (try asking a member of the clergy, a school, or a local funeral home), or by using a tool such as the Grief Counselor Locator. Beyond Tears: Living After Losing a Child was written by Ellen Mitchell. This book is meant to give guidance and comfort to bereaved parents. Beyond Tears is written by nine mothers who have each lost a child. This revised edition includes a new chapter written from the perspective of surviving siblings. Healing a Parent's Grieving Heart: 100 Practical Ideas After Your Child Dies was written by Alan D. Wolfet Ph.D. This book presents simple yet highly effective methods for coping and healing. It helps provide answers and relief to parents trying to deal with the loss of a child and offers 100 practical, action-oriented tips for embracing grief. Shattered: Surviving the Loss of a Child was written by Gary Roe. This book is heartfelt, easy-to-read and an intensely practical book. It explains the powerful impact that a child's death can have - emotionally, mentally, physically, relationally and spiritually. Much Loved allows you to create tributes and browse others. Legacy Memorial Websites allows you to create online memorials. Forever Missed enables you to create a free online memorial to share memories of someone you have lost. Never Gone is a place where you can share memories, stories, photos, videos, send condolences, write tributes, and link all your lost loved ones together. Remembered lets you create and maintain an online memorial website for loved ones you have lost. 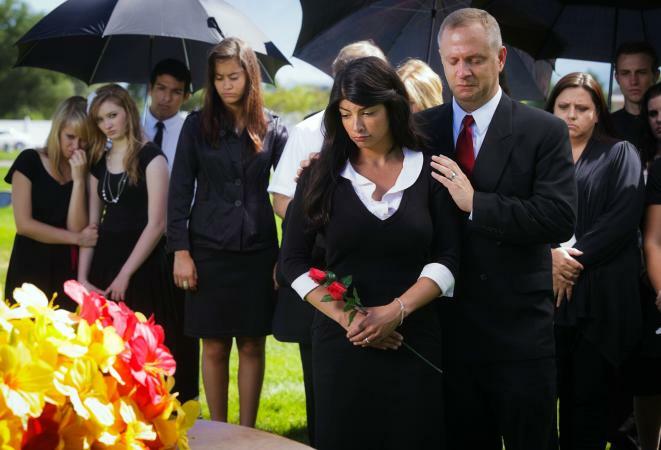 If you are a grieving parent or friend of a grieving parent, it is okay to seek help. Grief support has the capacity to benefit the bereaved by providing an outlet and support for the emotions. Look for a physical group that meets in a brick and mortar place, as well as for the groups online. Be careful, because every group may not meet your needs. Be part of a gathering that will assist you in coping the best you can in life after the death of a child.